Dates of Employment: Desired start date: April 22 2019 for training. Position will remain open until filled. Summer employment for students welcome. Work Hours: Part Time (20-30 hours/week) - Business Hours are from 10:00am to 9:00pm. Shifts will be split; however, full shifts may be required. Weekend availability is required. Compensation: Starting pay: $11.00/hour. Free gym membership & other benefits. 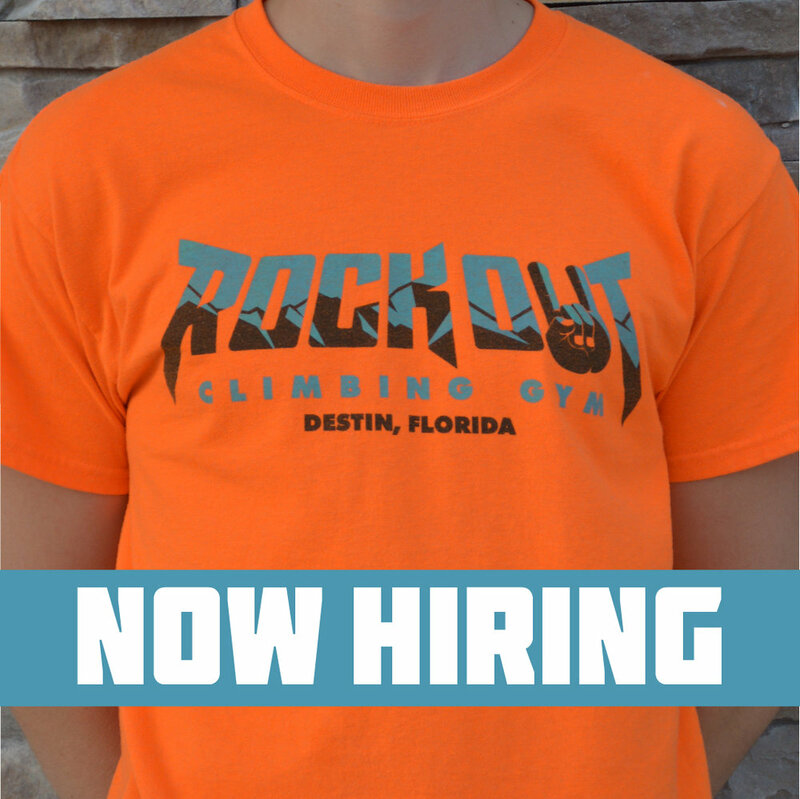 About Rock Out Climbing Gym: Rock Out Climbing Gym is the premier indoor rock climbing facility on the Emerald Coast located in Destin, Florida. Our facility offers bouldering and other programming for day use as well as memberships. Additional features include a fitness area as well as a retail section selling climbing related items. Job Qualifications: Customer service experience is mandatory. Computer knowledge for point of sale operations, although we will provide training. Smart, energetic, friendly, motivated people should apply. Job Summary: Handle all aspects of welcome desk and retail area. Conduct customer check-in and point of sale. Receive training and become knowledgeable on the merchandise being sold. Applicant will be expected to answer phone calls, handle customer issues, participate in facility clean-up, open and close with manager assistance. It’s a cool and fun environment to work in and we’re already receiving applications for these positions without yet posting the job! Applications will be reviewed as received. Qualified applicants will be contacted for an in person interview as appropriate.